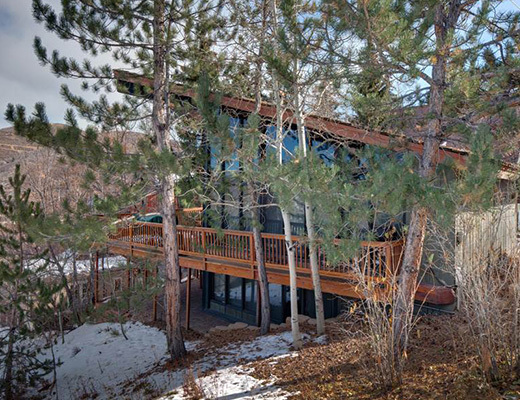 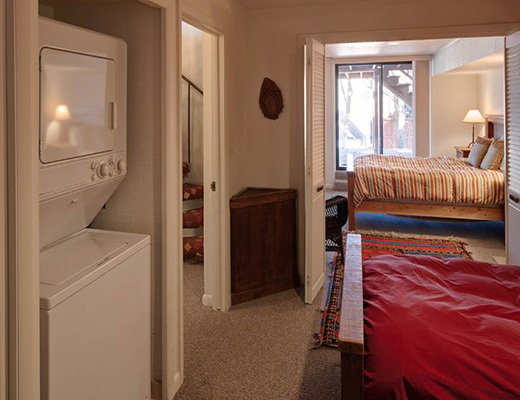 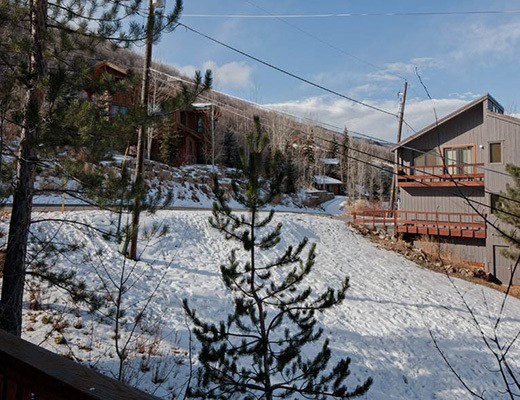 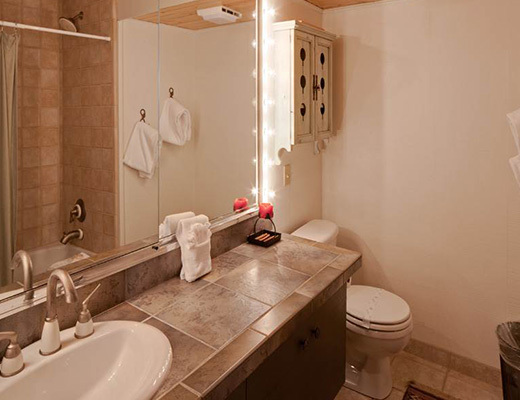 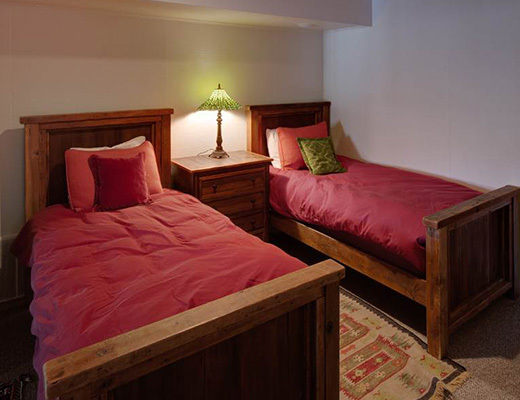 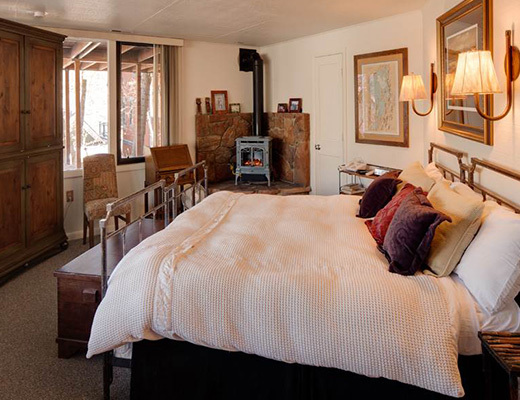 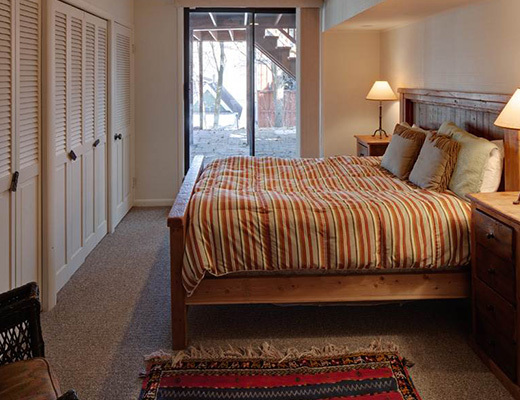 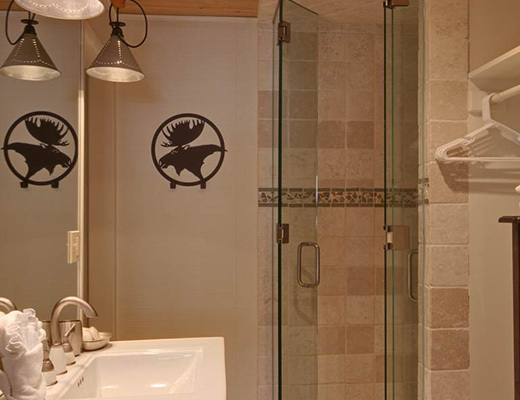 Sheltered by pine and aspens, this private resort rental is conveniently located just a short block from the Town Lift ski trail access in desirable Park City. 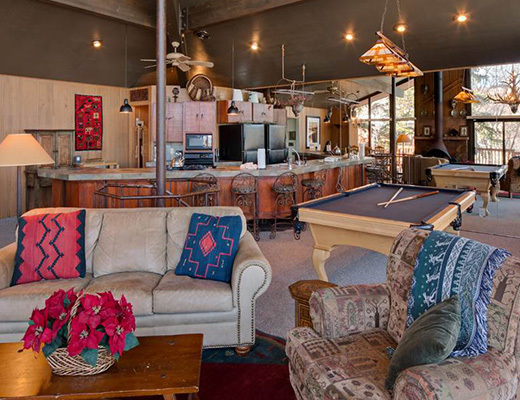 A true mountain retreat, this vacation home features stunning design, a billiards table and lodging accommodations for as many as eight guests. 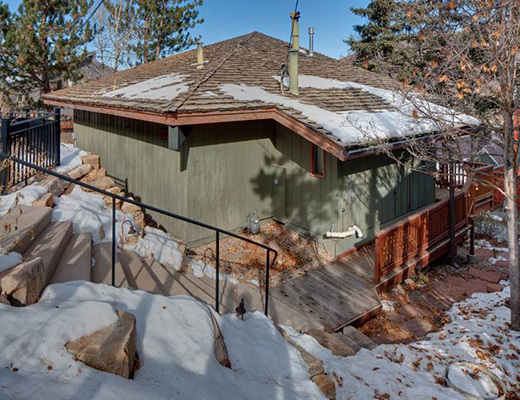 Step inside this lovely property and you are sure to find relaxation is on the horizon. 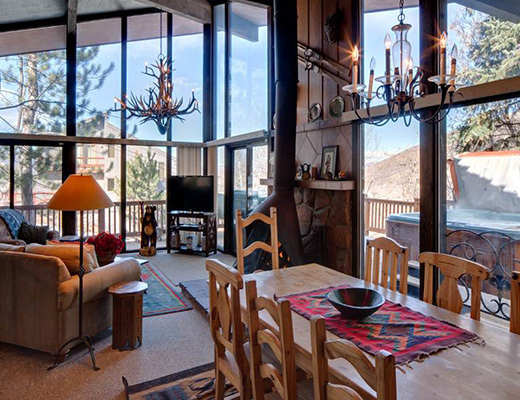 The great room configuration is the perfect layout for entertaining with the gourmet kitchen opening onto the main living area and dining room. 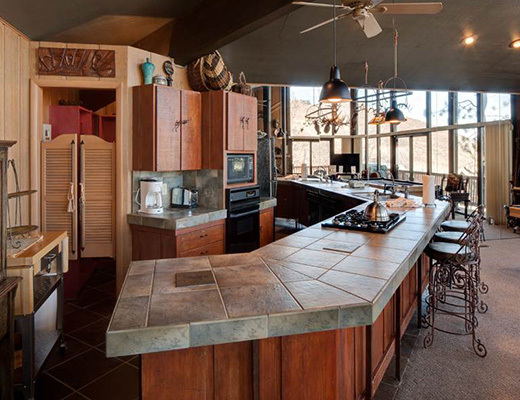 Complete with a breakfast bar, the large kitchen features tiled countertops, modern appliances, and more than enough room for storage and meal preparation. 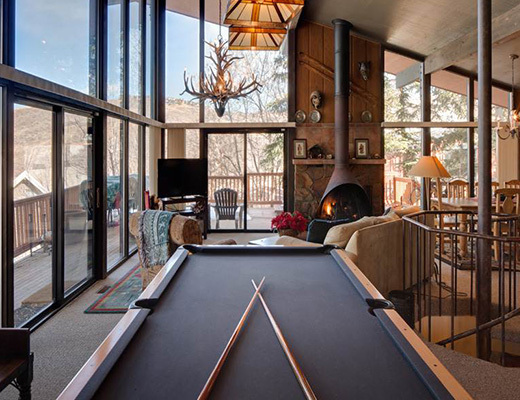 The living room is tucked in beside the dining area and features a billiards table and a unique fireplace. 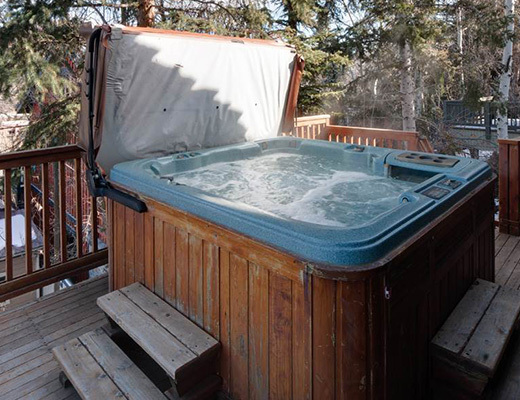 With three bedrooms, two bathrooms and private outdoor hot tub, this property is the ideal place to unwind after a long day.